Collaborators Allie Stewart, Kat Nestel, and Gabrielle Marshall exhibit for the Pleasure Garden Event at The Stage at Karma in the Southside. The event was hosted by our talented friends in Badluxe and also featured Sierra Sellers, The Telephone Line, and The Vindys! 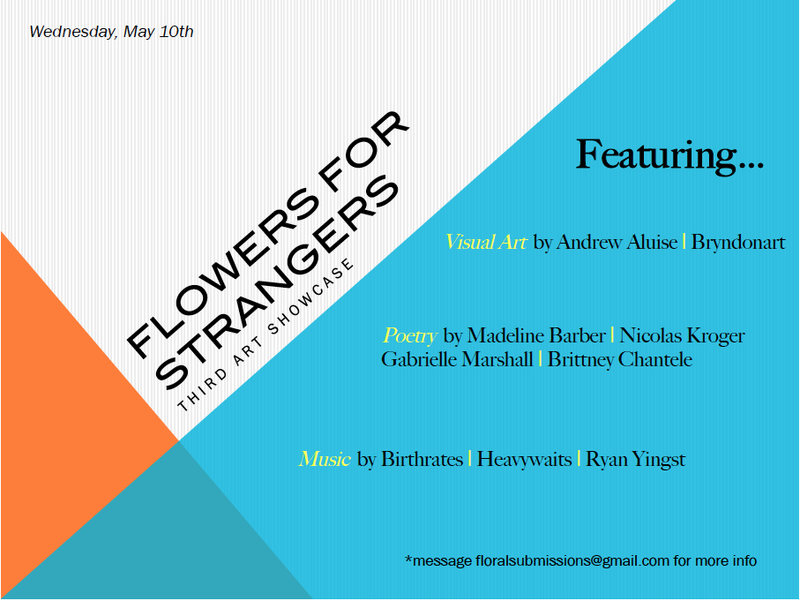 Collaborator Allie Stewart exhibits "The Storytelling Collection" for Flowers at the Chase and the Barons release show! Joint event with the Blue Clock Supper Club. Flowers' first collaborative venture "Ask Me Now" performed live. Our third showcase, hosted in the birthplace of Flowers..Uptown, Pittsburgh. Collaborators Stew Frick and The Uptown Woods host an event together for the release of new music and clothing. Collaborative multi-media event for the Pittsburgh community hosted at The Zenith in the South Side.